Microfluidics refers to the manipulation of fluids in sub-millimeter length scale channels. Traditionally, microfluidic devices have been used extensively to miniaturize bioassays. However, bulky pumps are still needed for pushing fluids through traditional microfluidic devices. Paper-based microfluidic devices, on the other hand, can be used to transport fluids without pumps using the capillary action (wicking) of porous paper. This phenomenon is used in many low-cost medical diagnostic devices, e.g. pregnancy strips. Our lab aims to expand the capabilities of paper microfluidic devices by designing new architectures, valving and control systems, and by developing new flow-based design tools for paper microfluidic devices. The movie below shows a few cool fluid control tricks that can be accomplished using porous materials alone. While flow in paper microfluidic devices is in the laminar regime akin to traditional positive pressure-driven microfluidics, the physics of fluid flow is quite different because the driver of flow is capillary pressure. Different paper membranes have a different distribution of pore sizes and therefore different capillary pressures and permeabilities. We are interested in mathematically modelling fluid flow in different paper membranes and their assemblies. We are interested in this problem both from a fundamental perspective and from the point of view of its application in developing design tools for paper microfluidic devices. Nucleic acid amplification tests (NAATs) involve direct detection of DNA or RNA sequences by replicating the sequence to generate billions of copies. It is an extremely powerful (sensitive and specific) tool for medical diagnostics. However, almost all current NAATs are based on the polymerase chain reaction (PCR) and require expensive thermocyclers to conduct. Our lab aims to use isothermal DNA and RNA amplification technologies to radically reduce the infrastructure required for conducting NAATs. Further, we aim to use novel paper microfluidic flow systems developed in our lab to integrate the multiple steps involved in a NAAT like sample processing, DNA amplification, and detection. We use state-of-the art fabrication technologies like 3D printing, laser etching, and CNC milling to develop true working prototypes of portable handheld NAAT devices. A method for isothermal DNA amplification called iSDA. ​​The immune system is a true wonder of nature. As a part of the body's defense mechanism, the immune system generates extremely specific antibodies to bind to foreign objects (antigens). This specificity has been exploited to create immunoassays in which the target biological molecule (antigen) is detected by binding to a corresponding antibody. The most common example of such an immunoassay is the pregnancy strip, which detects the presence of hCG hormone in urine. Such strip-based assays have revolutionized point-of-care medical diagnostic testing for infectious diseases and are used in remote locations where other technology is not available. However, the sensitivity of such strip-based assays is known to be poor. We aim to develop new signal amplification chemistries and combine them with new paper microfluidic flow control strategies developed in our lab to create next-generation highly-sensitive point-of-care immunoassay devices. Sputum, urine, and blood contain the DNA of infectious agents that can be used to diagnose diseases to aid treatment and help prevent spread. Diagnosis is generally performed in specialized laboratories, but the DNA can be damaged during transport from remote locations due to the length of time it takes or exposure to high temperature. Drying the samples would help protect the DNA but this requires a sterile method that can handle larger volumes of multiple types of specimen. 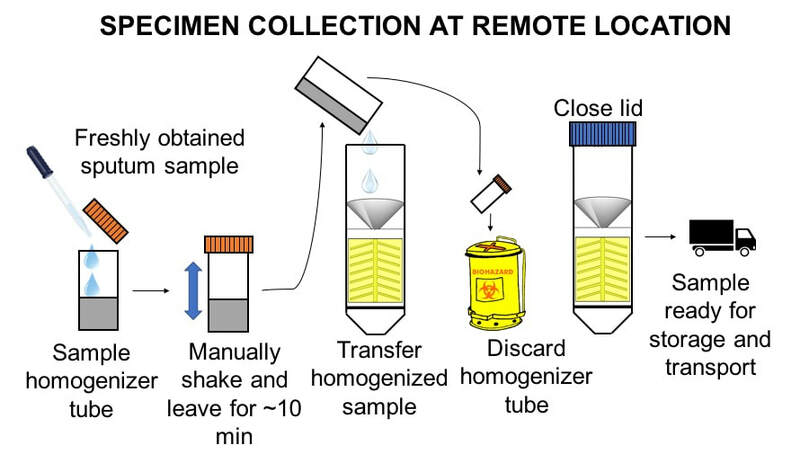 ​Current methods of dry sample stabilization do not live up to the challenge. We aim to develop new technology for large volume clinical sample stabilization, compatible with downstream genetic analyses. Cancer tumors are heterogeneous tissue masses that impose chemical transport limitations on drugs and nutrients. Some parts of tumors may be well vascularized while others may be far from vasculature (see bottom left image), leading to hypoxic and quiescent cells that do not respond well to chemotherapy. The efficacy of cancer therapeutics is affected by several transport processes, i.e. entry into tumor tissue, diffusion away from blood vessels, and diffusion towards blood vessels when metabolic processes have cleared the drug from vessels (see bottom right image). The current cancer drug development process relies heavily on cancer cells attached to flat surfaces as a model for tumors. These flat cultures lack the transport phenomena that give tumors their unique characteristic and are thus not an ideal platform for cancer drug screening. In our lab, we aim to develop new in-vitro models of tumor tissue that capture all the associated transport phenomena - blood flow, intravenous drug delivery, diffusion into 3D tissue, and drug clearance from the vessels and the tumor. We aim to develop a simple fabrication process to create such devices. Ultimately, we aim to develop tools that can more accurately predict the efficacy of cancer therapeutic drugs in the early stages of the drug development process.